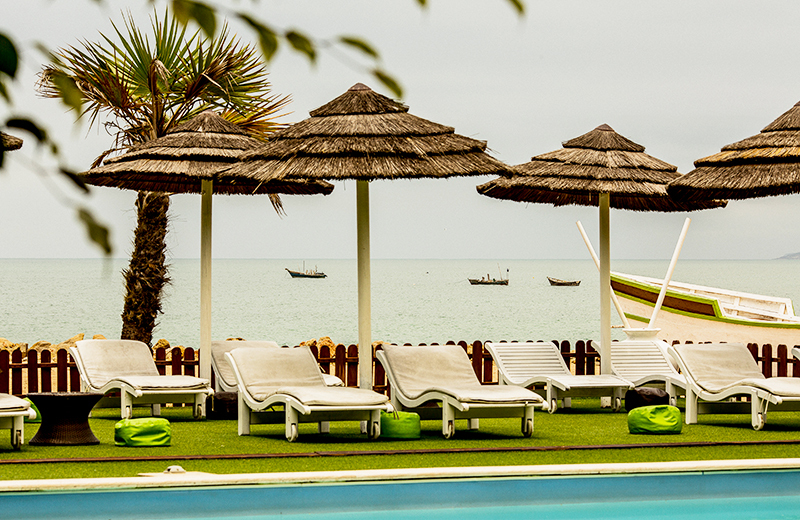 Cabo Ledo Surf Resort - Caboledo, Luanda Guests overall rating: ☆☆☆☆☆ 0 based on 0 reviews. Surf Resort Cabo Ledo is located at Angolan coast, Cabo Ledo, well known for attracting surf lovers thanks to its unique conditions. Surfing can be a naturally individualistic sport, but it is also characterized by a strong sense of sharing, community and mutual help. At Cabo Ledo Surf Resort you will find the perfect combination of surfing, nature, family and friends. 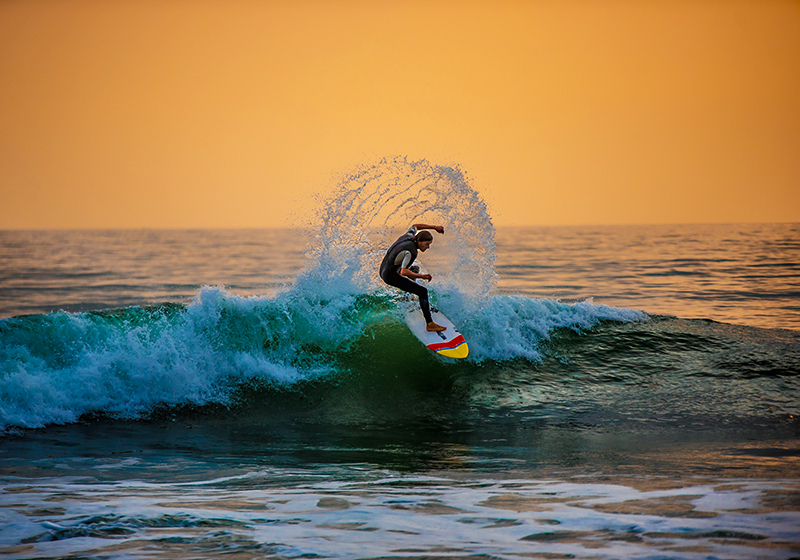 A destination increasingly recognized by the longest waves in the world and classified as one of the world’s “must-see spots” for all surf professionals and surf lovers. Cabo Ledo is also a great natural place to renew your energies and share unique moments. You will find 19 bungalows – private rooms in deep fusion with nature, built in natural wood with a sustainable design, where the lush vegetation is the main element of inspiration. Come experience the colors, the tropical heat, the unmistakable flavors and the contagious rhythms. Come listen to the mystical sounds of the savannah and lose sight of the landscapes that cross the tropical green with the orange hue of the earth. Combining the best traditions and local flavors, at the table of our restaurant you will taste delicious fish and seafood, as well as meat dishes and snacks. Natural juices made from the combination of the exotic fruits of our region. The high season for waves in Angola starts in June, with the beginning of Cacimbo (dry or winter season) and lasts until mid-October. It’s consistency is great and during this period it’s rare to spend a day without catching any waves. To this day, there are only 20 known surf spots, which makes Angola a country with a practically virgin coast. The most famous waves are world class & most days you will be alone in the sea, making it an ideal destination for those who enjoy crowdless vacations. Cabo Ledo in Luanda is an beautiful and very consistent point break . Winter is the favoured time of year for surfing here. Most of the surf here comes from groundswells and the optimum swell angle is from the southwest. The quality of the surf isn’t affected by the tide. Even when there are waves, it’s not likely to be crowded. Easy and fun have that can get more than 300m. Local surfing community friendly, mostly expats working in Luanda and camping for the weekend that being said, often you will be nobody or few people having it just for yourselves. While you stroll on the beaches of Cabo Ledo or while your family and friends refresh themselves in the crystal clear waters of the tranquil Cabo Ledo sea, take a break in one of our bars and enjoy a refreshing drink. Celebrate the adventure and nature, remembering all the special family moments spent on a safari in the Quiçama National Park or through a breathtaking ride on the Kuanza River, the largest in the country and which gives its name to the national currency. With a rich historical past and the affirmation of its identity, Angola is now a country renewed in its energy and will to transform the future. But above all it is a destination for all. From business trips to adventure, sport or leisure, everyone is invited to rediscover this country with unique heritage and engaging landscapes. Cabo Ledo is a large cove located in the province of Luanda, in the heart of Quiçama National Park, 120 km from the center of Luanda, well known for the combination of stunning cliffs that surround a long beach and its clear waters. A natural setting that challenges direct contact with the forces of nature, from surfing to sport fishing. Vaccinations & Health - IMPORTANT! The yellow fever vaccine is required to get the visa and to pass the police at the border control. When it comes to health, it is advised to check doctor and your vaccinations prior to travelling and take malaria prophylactic medication as well as insect repellents. If necessary, Angola has a good health care system with hospitals and clinics throughout the country. Tourist visa must be arranged before your travel. The yellow fever vaccine is required to get the visa and to pass the police at the border control. Please check your country requirements to visit Angola. London, Paris, Amsterdam, Brussels, Frankfurt and Madrid are all scheduled to fly twice weekly. Transfers are included and you will be picked up and dropped off to LAD. ✔ Drinks include soft drinks, juices, mineral water, coffee, tea and beer. ✔ Access to the resort’s facilities and activities.